You must make reservations at least 5 minutes in advance of the time at Adrift. 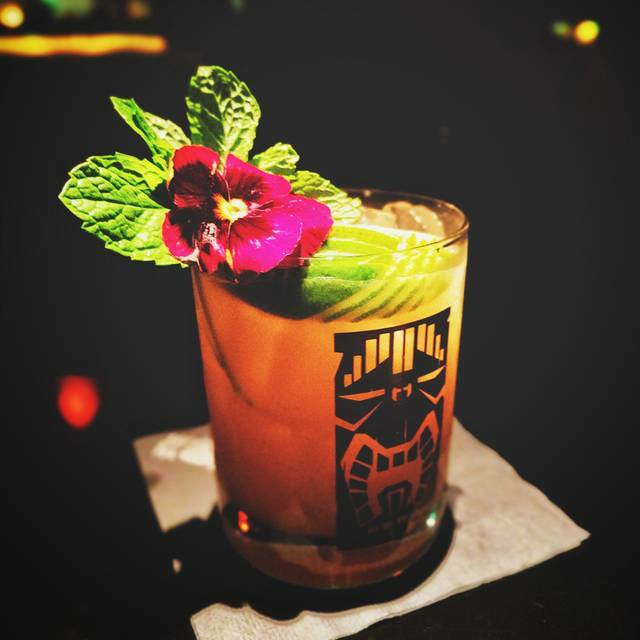 Tropical-themed tiki bar offering rum-centric craft cocktails and Polynesian-inspired cuisine. Tiki-style drinks executed at a high-level in an absolutely breathe taking atmosphere! We had such a fun night at Adrift! Tuesdays are where it's at; happy hour, drinks, live music! Mark was exceptional and the food was spot on. Can't wait to go back! Totally worth it! Always a great place to tale friends from out of town. The mocktails were amazing!!! Our waiter could have been more engaging. We had a tkirific time at the adrift! We enjoyed the Pupu platter and had several well mixed cocktails. TK was the hospitality master and treated us to some some tasty rum shots for our 30th and entertained everyone with a spectacular fire show with his fellow bar keeps. We will be back!!! What a fun place! 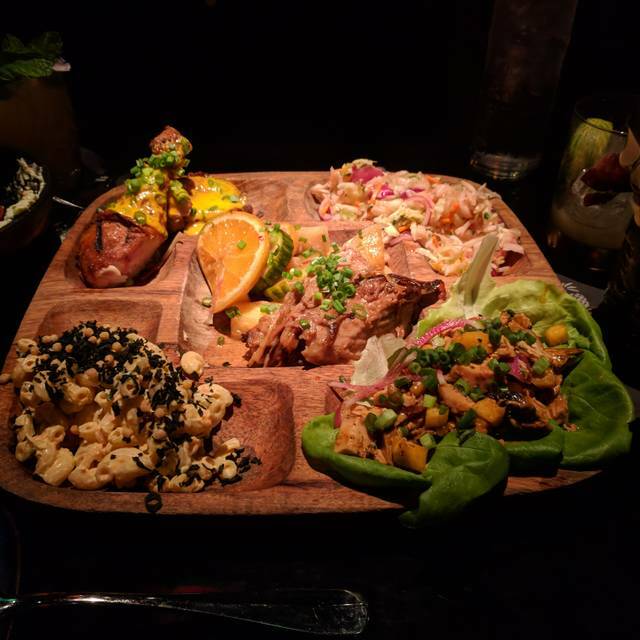 Colorful, delicious and bit of Hawaii 1950s in Denver. I was looking for Elvis! 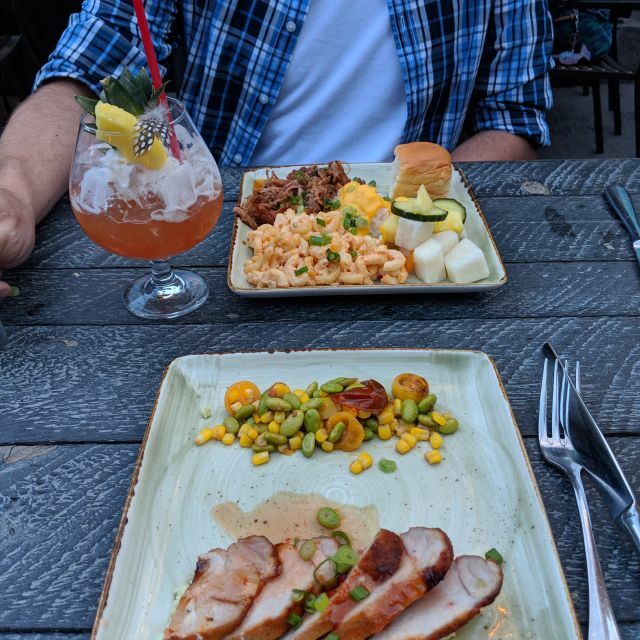 Great atmosphere and good food presentation,Had the Mai Tai that the server recommended way to much alcohol, didn't even taste good. So much fun! 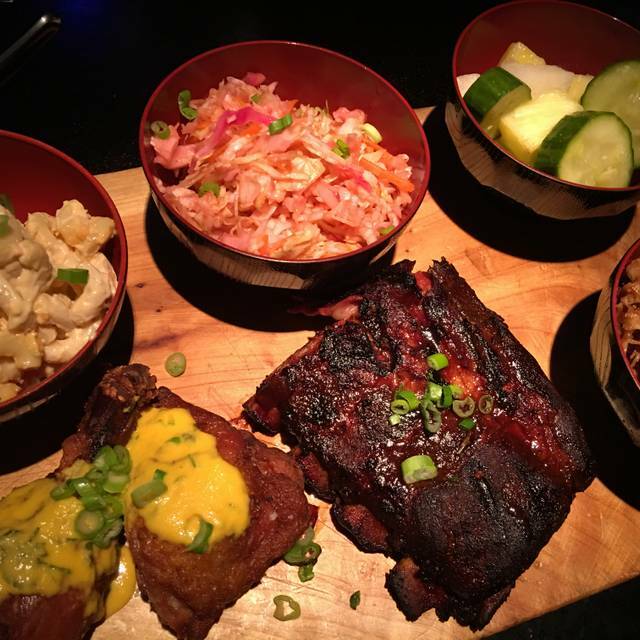 Great food, great drinks, great service! The food was very good. The drinks were excellent. The server was friendly. Nice ambiance. Fun place. Love everything about Adrift. The ribs are to die for!! Definitely fun and unique. Small portions but good food service was good. A little loud for our taste. Beet salad was delicious!! This was a wonderful authentic Polynesian experience. The food was very good and a good value, very different. The ambiance was delightfully "island". The service was a bit slow but we were not in a hurry. 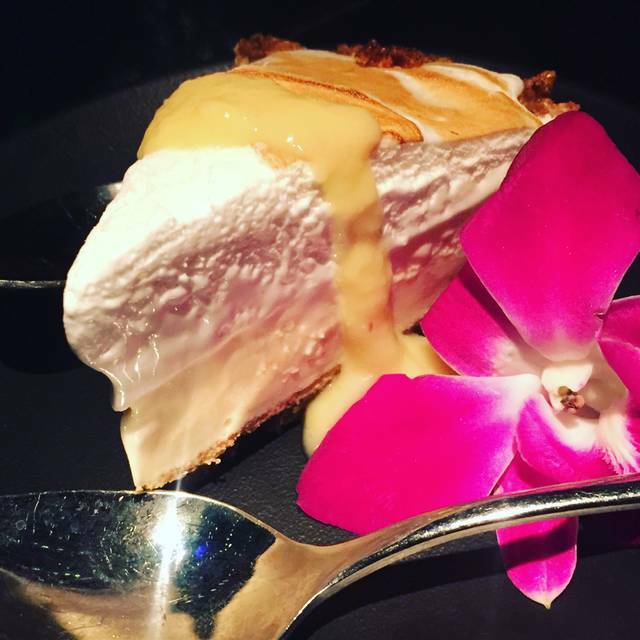 Yes I recommend it and we will take family and friends there for unique food and experience. Be sure you have a reservation. First time coming here and loved it! Super cute and enjoyable atmosphere with fabulous food. Waiter and all staff was awesome! Thank you for a great night. Definitely would come back! My favorite place!! Would absolutely recommend. Food is always amazing! Drinks took forever. Our server made an excuse and stated they were short staffed. It took 30 minutes for us to get our first round. The host told us that we had to be out by 8:30. I’ve never heard of a restaurant giving you a time limit. Adrift is amazing! The atmosphere, drinks, and food are unbelievable. The staff are some of the kindest people I have ever had the pleasure of meeting. :) Thank you Adrift staff for everything! An adventure with every visit. Great food and better drinks. The food was amazing!! It was a fun place to eat with super friendly staff. Can't wait to go back!! Loved almost everything about the visit. Only thing I would change is the music. It was very loud and I would have liked to hear more music like Don Ho. This experience wowed the whole way. We had a great time! Loved the drinks and food and the ambiance was just what you’d expect a tiki bar to have. They have great happy hour specials and we will definitely be back again!! We love it here!!! We love the atmosphere and the food is exceptionaly good and the drinks are really good. Birthday dinner with the family was fantastic! A trip to the islands was had by all at this beautifully decorated venue! 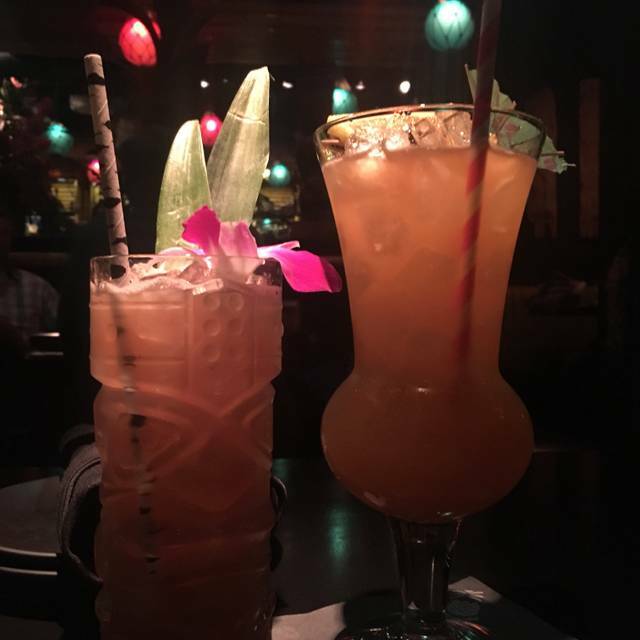 The drinks were amazing and it happened to be Tiki Tuesday where happy hour lasts all evening! The food was tasty and loved the atmosphere. Our waiter was very attentive and was knowledgeable on any menu questions we had. Will definitely go back! A few friends and I went there to celebrate my birthday and the food was GREAT! The service was outstanding and the feel for the whole restaurant was fun! I love the atmosphere and the food is great. The service was very slow. We waited a very long time for our drinks. I got my food and wanted a side with it and waited almost 20 mins before a server came back to check on us then I was finally able to put in an order for a side. We had to ask for our drinks multiple times. The staff were very friendly and very apologetic. I would say the place is amazing but probably need to hire more staff. Great atmosphere and the drinks are amazing! 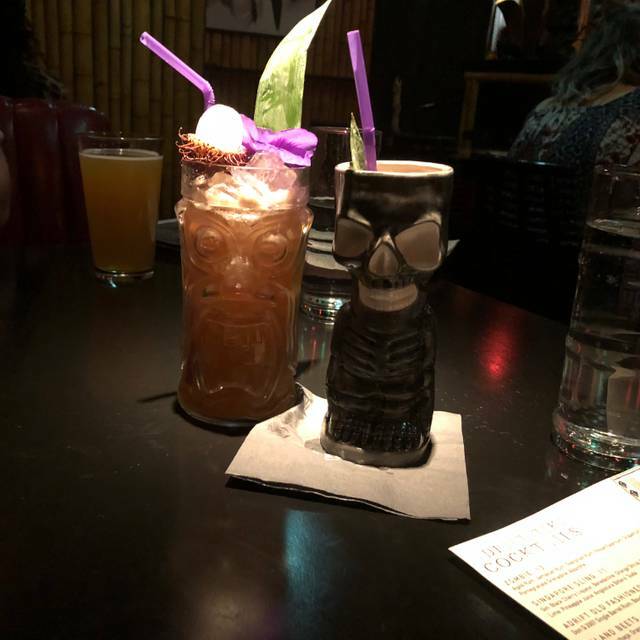 The drinks were fantastic, and true to the tiki theme. The good was good but too much "fusion" attempted, I wish it were just simple and good as opposed to trying to be fancy. Either way, I'd still go back. Fabulous setting, and fun to people watch. Volume does get a little loud as dinner ends and the bar stays open, so if that's not your scene, go early. We are here about once a month! 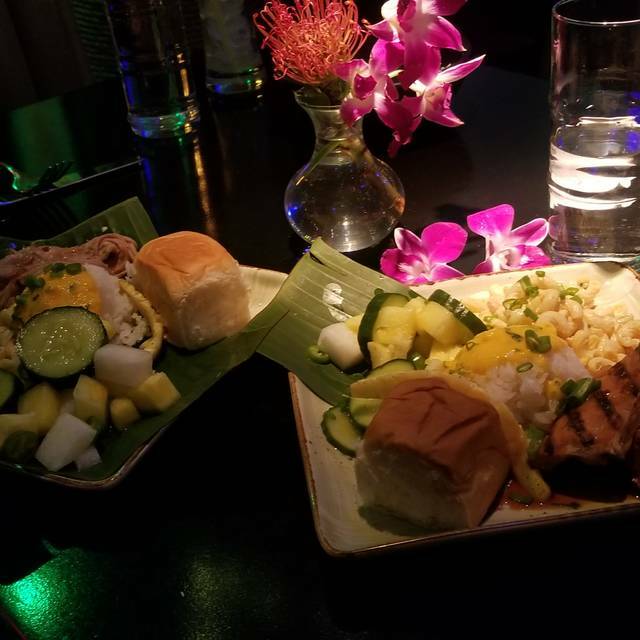 The best Hawaiian atmosphere and food. I’ve had plenty of Hawaiian BBQ and this is place is the best in town. Had a reservation for 5:30 on a Saturday and there was already people waiting at the door when we got there. The staff was friendly and very attentive throughout our stay and the food was good. We ordered off the Happy Hour menu (very extensive) and got the samosas, butternut squash soup, beet salad and musabi. They were all really good. For entrees, I ordered the tofu lemongrass soup and my boyfriend ordered the ribs. Both were also good and the portions were very large. The only disappointment overall was that the amount of sodium in all the food was so high that we really suffered the next day. We felt bloated and dehydrated for a majority of the following day. We both agreed that we enjoyed our time there but that we probably wouldn't go back, just based on how we felt afterwards. Had a good time with friends for dinner and drinks. theming was good and almost great. I’ll be coming back with my wife in the Spring. Our host (I forgot his name) was amazing. It was my wife’s bday and we asked if we could transfer to a booth. He moved some things around and made it happen. Give that man a raise he was so accommodating! While the food has gone down hill since new owners, still a GREAT Tiki bar! Adrift has the best ambience. I love this place. Love coming here. The cocktails are out of this world! Wonderful creative food as well. The bar service was extremely slow. We understand the cocktails are handcrafted but we probably waited 20 minutes or more for our first round, after waiting 10 minutes for a server to greet us. We put in a second order of cocktails after the first arrived and it still took forever for the second round to drop. Had a fun time at Adrift. They have such a fun decor/theme and also really did it up for the Holidays! I think this place is for sure worth a stop for a drink to get in a festive island holiday spirit. However, I would say skip making this place your dinner spot. Most of the food was not all that great. The Spam quick snack was FANTASTIC but other then that we were underwhelmed. I do suggest getting a reservation as the place was very busy and many people got turned away. 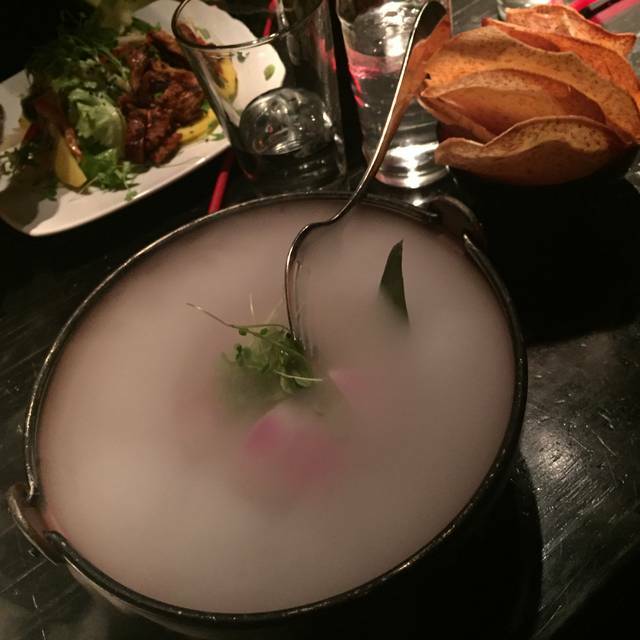 Fantastic food, fun atmosphere, great service, and killer cocktails! Adrift has always been a favorite bar of mine. The ambiance is incredible - it feels cozy and intimate, but still funky and interesting. However, there was a management change a year and a half or so ago. Ever since then, the prices have gone up, and they don’t offer some popular menu items anymore. They got rid of anything deemed “inauthentic,” like the sliders or guacamole. I don’t think any of us sought out Adrift for “authenticity,” so I miss the old Adrift!